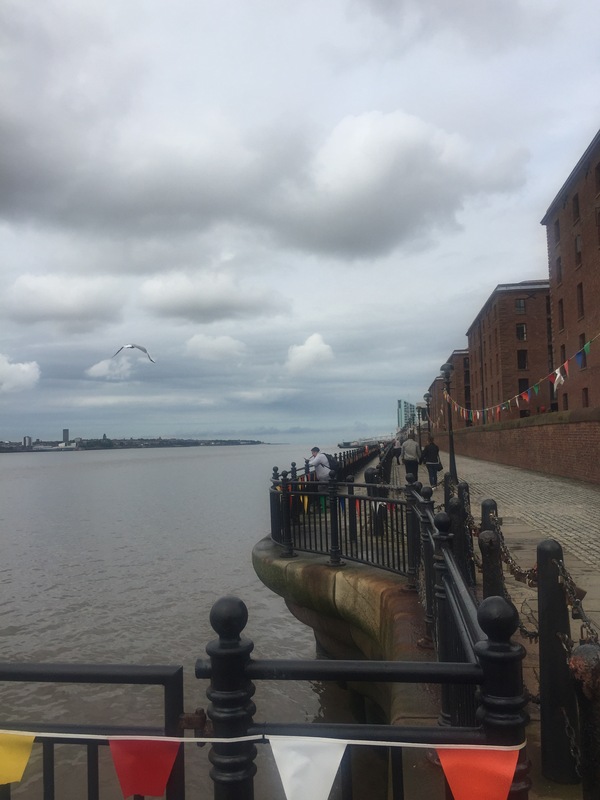 Last week we took the train to Liverpool to visit more friends who once lived in Gibraltar but have since moved back. 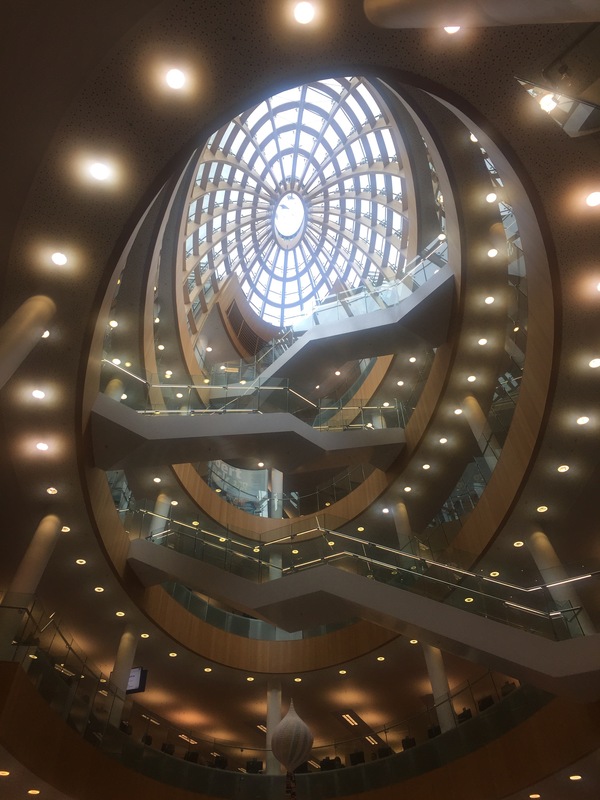 I have been to the city a couple of times before but not since being a teenager so for me it was almost like visiting a new place as so much has changed. 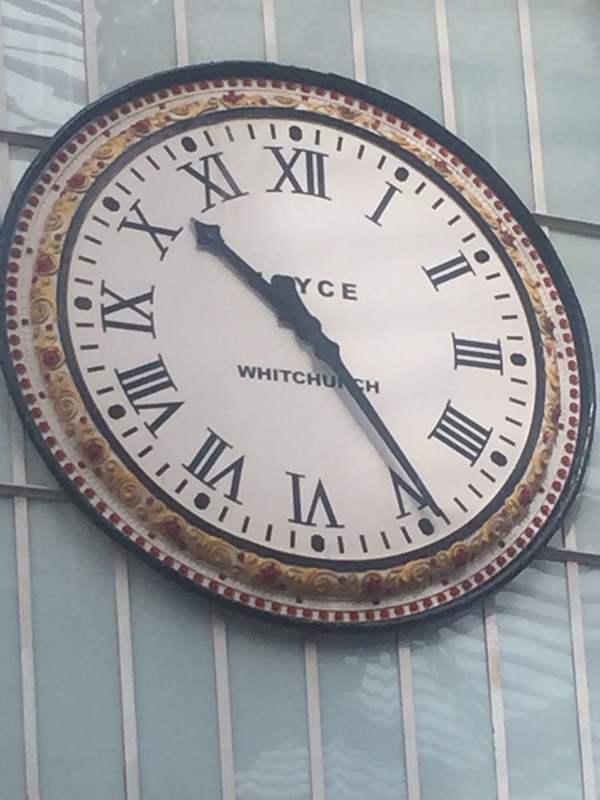 We arrived at Liverpool Lime Street station in plenty of time to meet our friends and then headed off to explore. The buildings we were met with from the start were imposing and grand. And stunningly modern on the inside. This is an atrium with the Wow-factor! Poor old Julius Caesar was a bit under the weather. 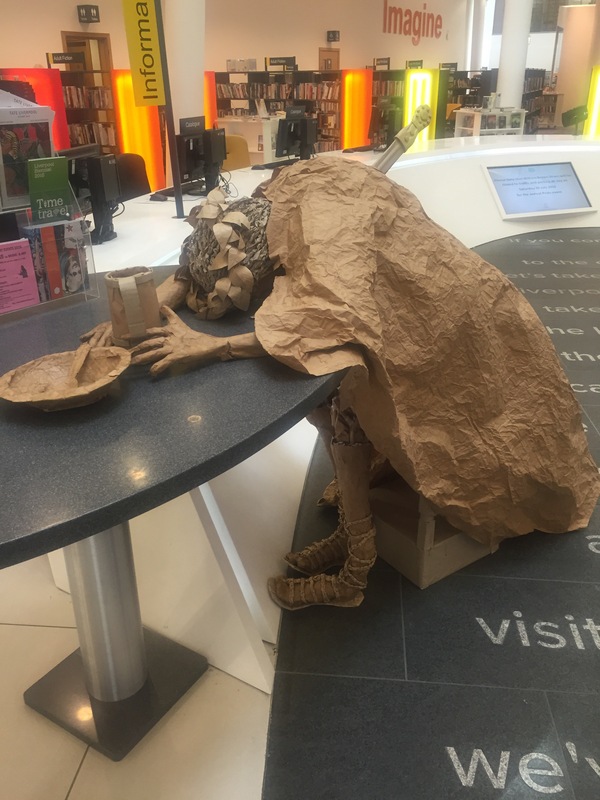 These are two of six large sculptures created by students at Birmingham City University to commemorate the 400th anniversary of Shakespeare’s death. Have you ever seen a kids’ library like that?? It was just amazing. 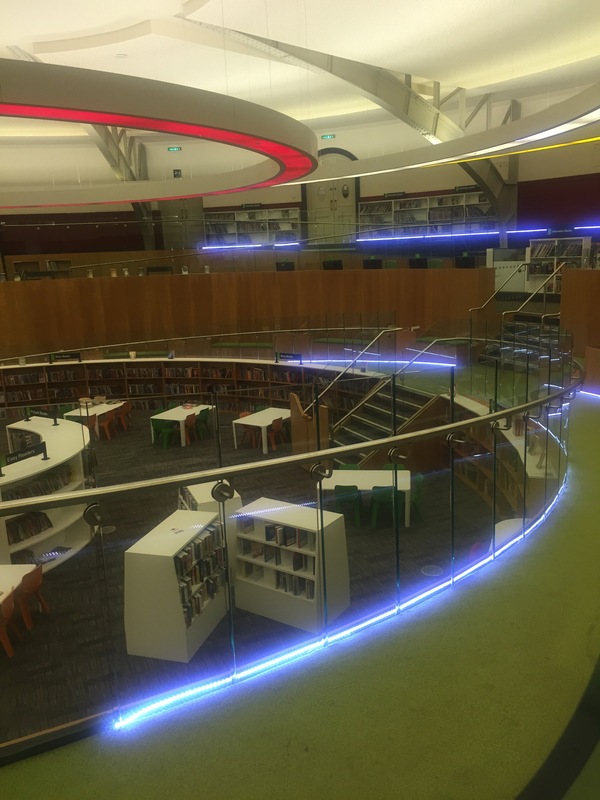 As well as a lime green and purple colour scheme, ramps and neon lighting it had loads of comfy seating areas where you could just curl up with a book and read. There’s also a stage and events are held there during the school holidays. 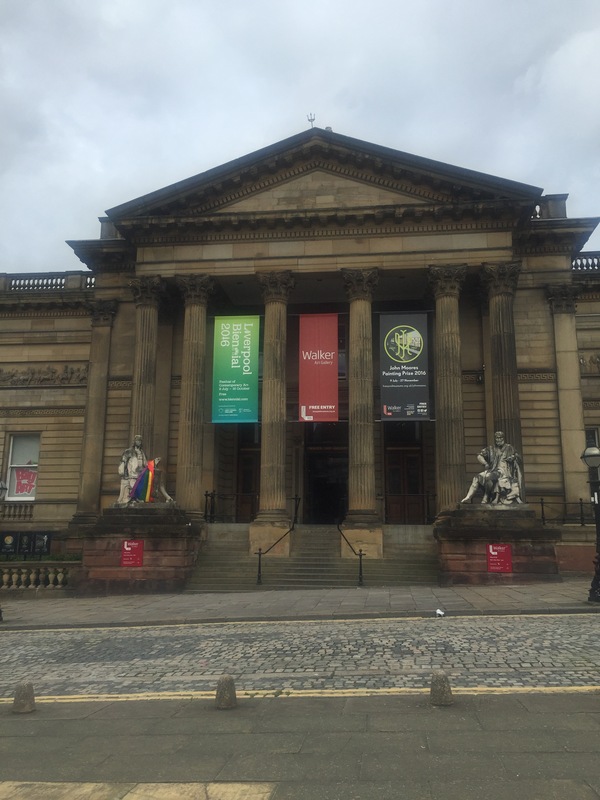 What a great resource for the children of Liverpool. 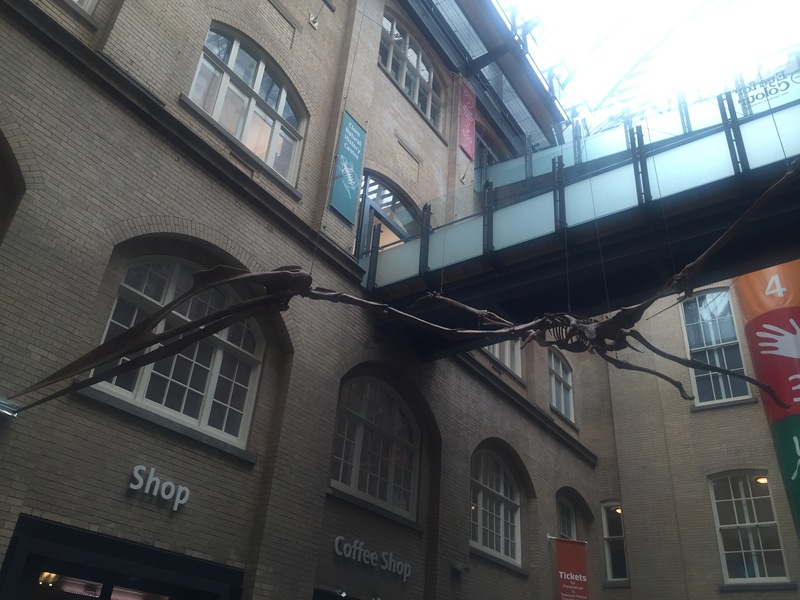 Next stop: Liverpool Museum with it’s pterodactyl skeleton waiting to great one very big pterodactyl fan. We were all blown away by how large it was! Glad we weren’t around to see the real thing!! 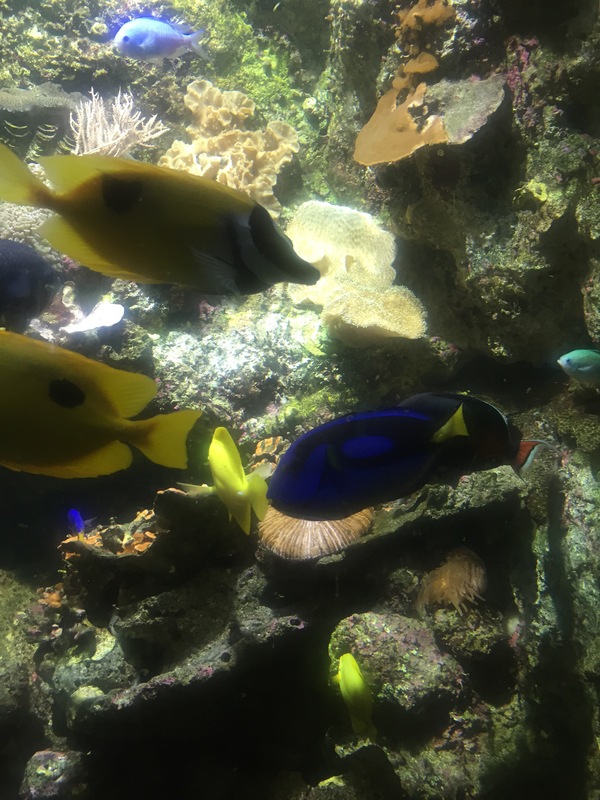 Another highlight was the aquarium, where the Little Postcards were able to find not only Nemo, but Dory as well. 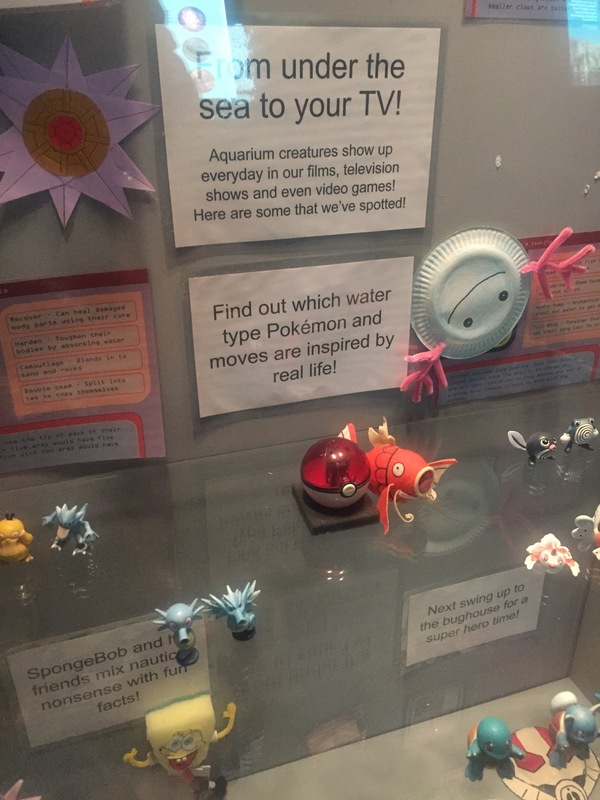 There was even an exhibit featuring the current fixation in our household… Pokemon. 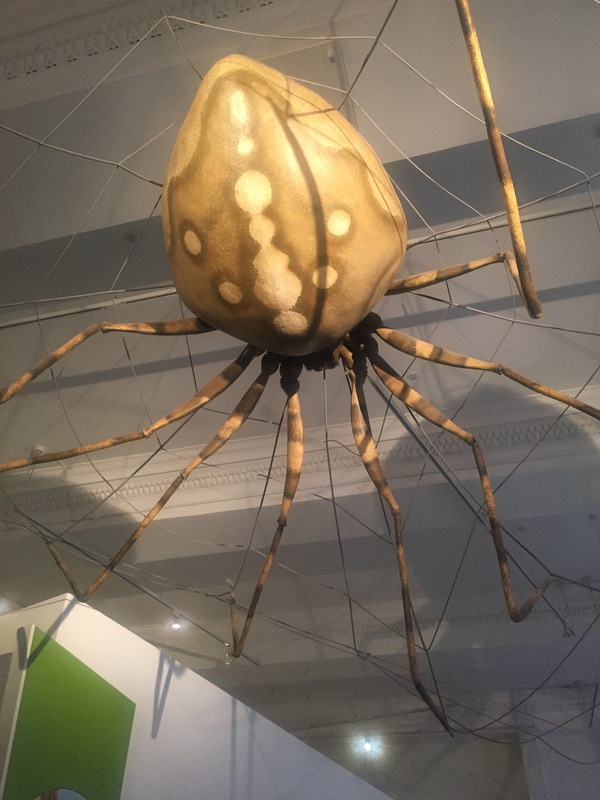 I know it’s not real but this spider moved when you walked underneath it… urghh! 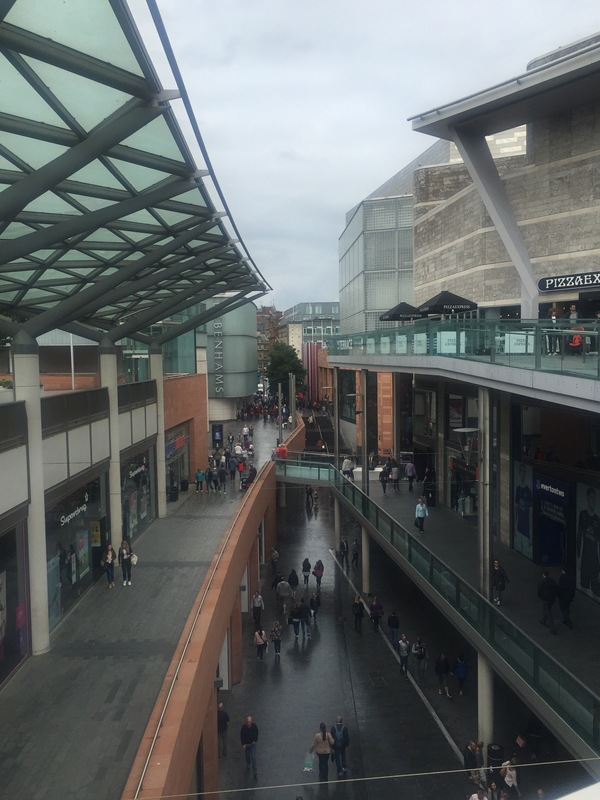 After visiting the museum, we walked through the newly developed Liverpool One area to reach the River Mersey. 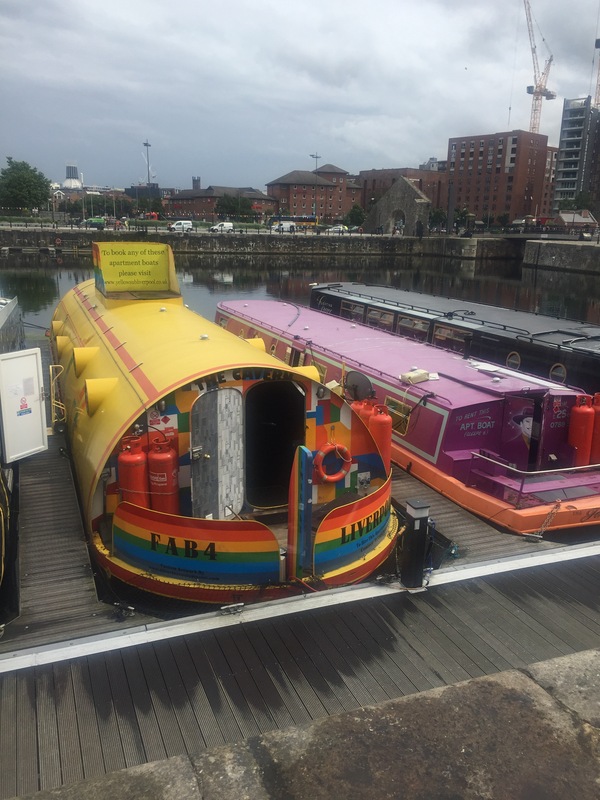 These fantastic barges can be hired to sleep in! 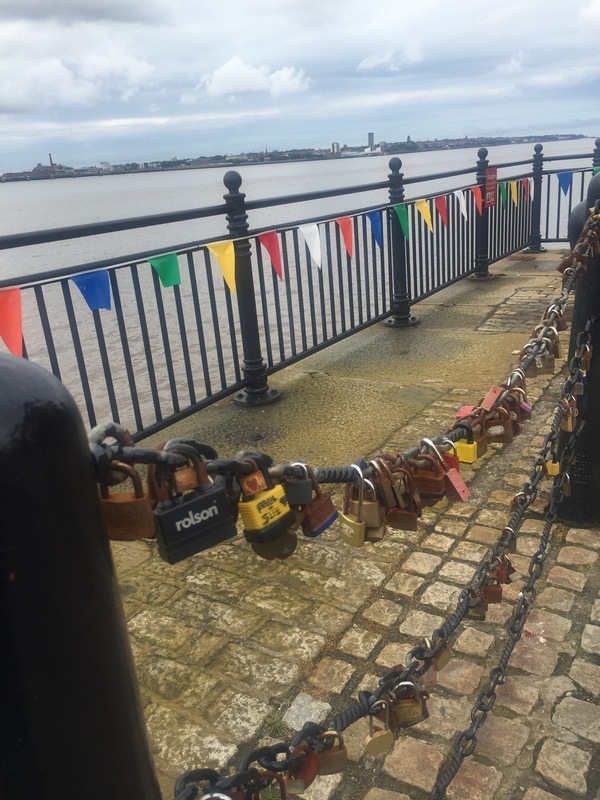 On the river side we found these ‘Love Locks’ which are placed on the chains to symbolise everlasting love and in memory of loved ones who have died. 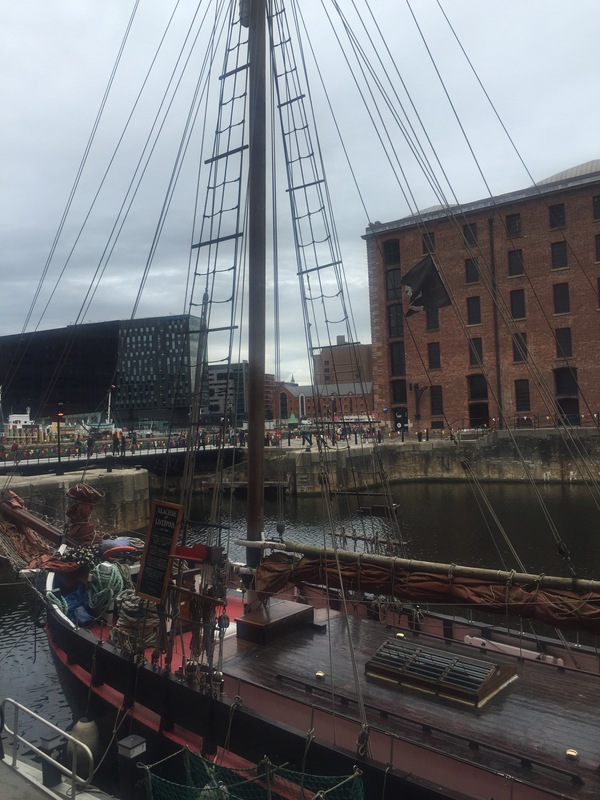 Away from the Mersey, we walked into Albert Dock. The Victorian buildings are very atmospheric even though they are filled with shops and restaurants. I can’t send a postcard from Liverpool without mentioning the Fab Four. 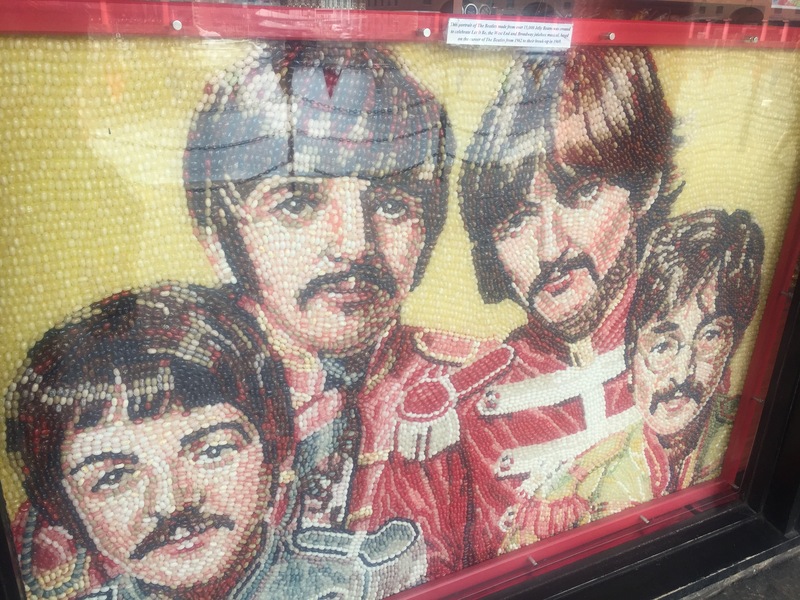 This Beatles mosaic was created using more than 1,5000 jellybeans. It’s displayed in the window of a sweet shop in Albert Dock. After afternoon tea at the Tate Café we headed back towards the city centre. 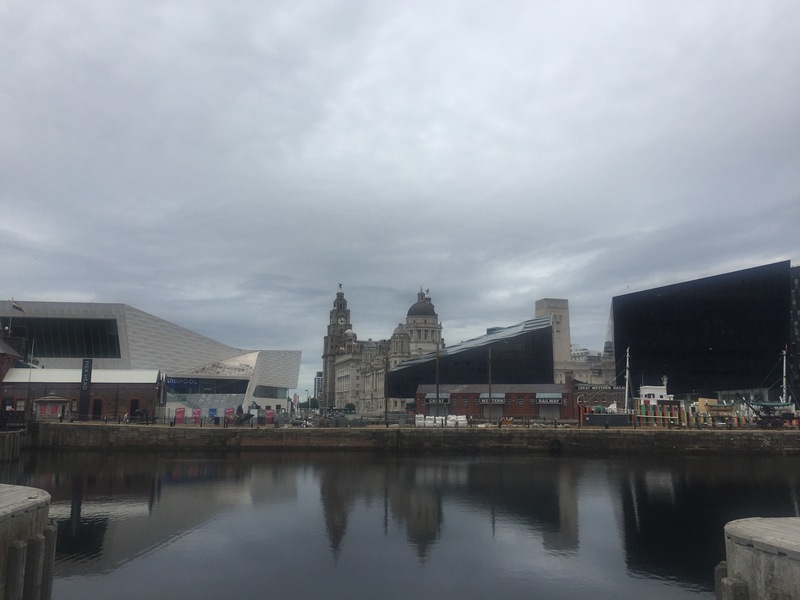 We passed the iconic Liver Building and the International Slavery Museum, that’s somewhere I’d like to visit on a future trip to the city. 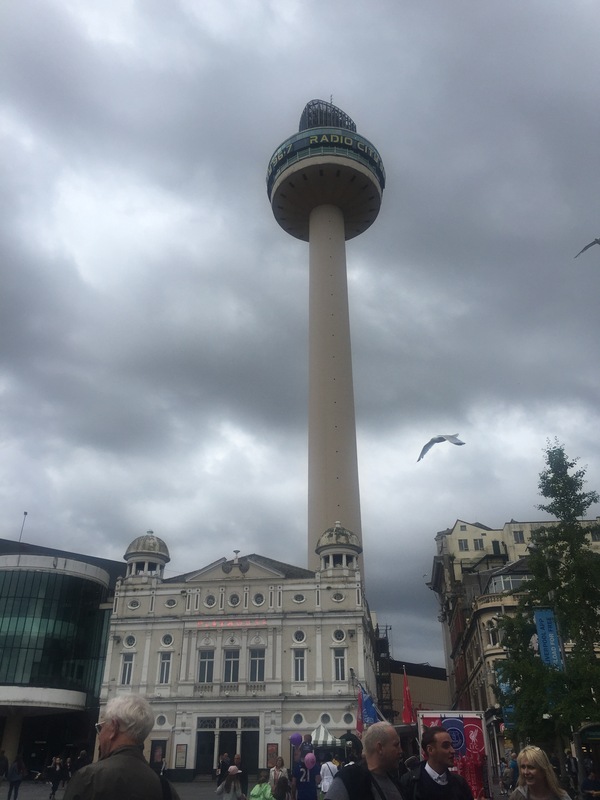 Back through town and past the Radio City Tower to Lime Street Station and our train back home. Children say the best things don’t they? Probably only saying what everybody else is thinking anyway. I do like Caesar’s gladiator sandals but it does look like he’s over imbibed somewhat. 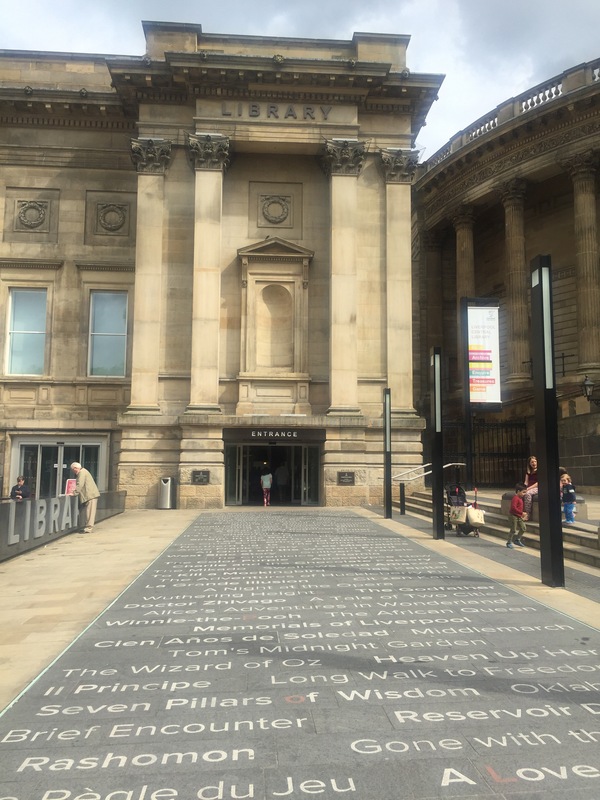 Great to see such a fantastic library – so many of the smaller ones are closing down now and they are so important but do need to move with the times. Those padlocks are a nice touch and a good idea to put them on a rope and not on the actual railings otherwise they might meet the same fate as those in Paris where over a million padlocks, weighing around 45 tons, were removed by the authorities last year as they had become a risk to the structure of the Pont des Arts. Sorry to hear you don’t have happy memories of the place 😦 but yes, it was a great trip! I know you can rely on kids to go off on a toilet related tangent!!! Can you believe I’ve never been to Liverpool? 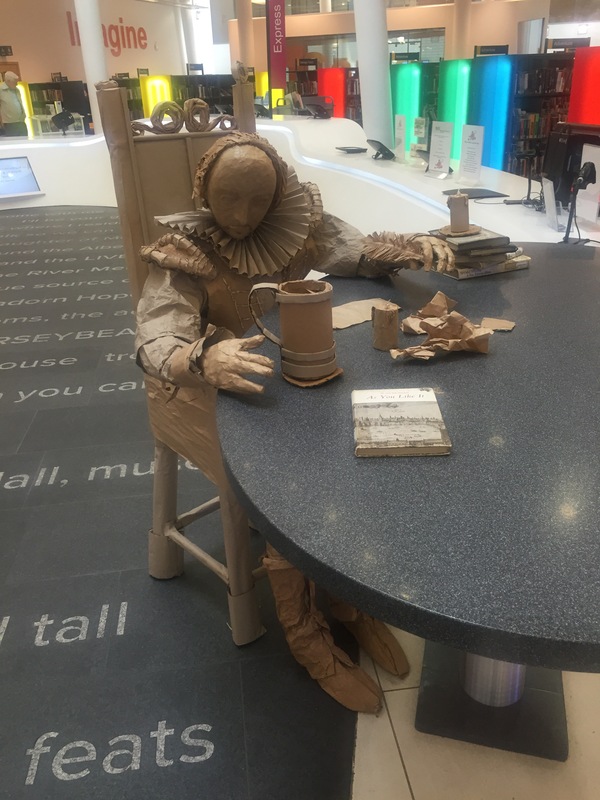 Thanks for sharing your tour with us – those paper sculptures are incredible! Children never let you down. Seagulls bottoms indeed. 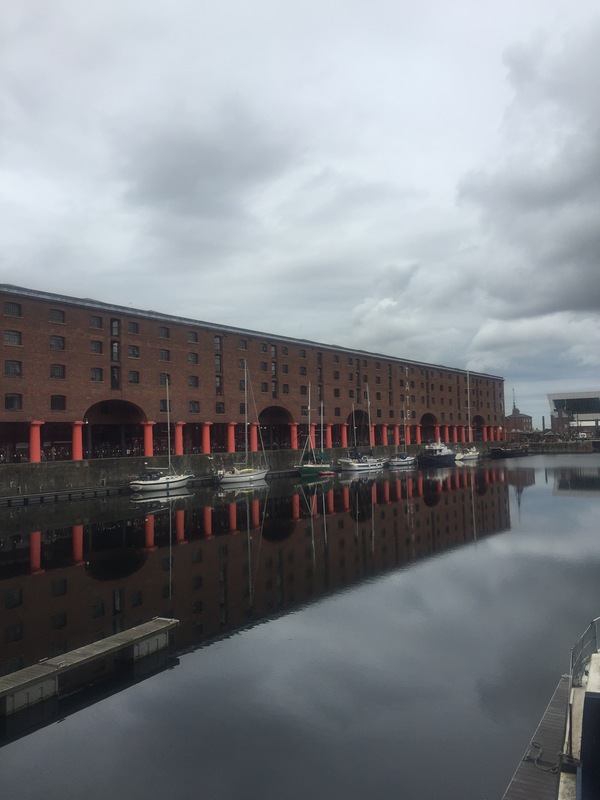 I can highly recommend the slavery museum. My Mums family come from Liverpool so I always love posts from there. Thanks for this postcard. Oh my I cannot believe that library! How fantastic! 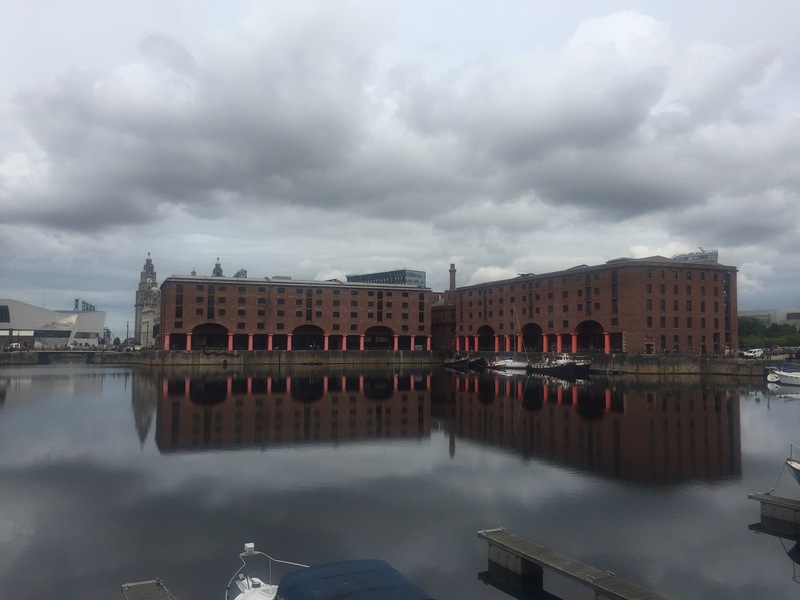 I have never been to Liverpool, but you have really inspired me to put it on my list. What a lovely trip and so nice to meet up with your friends again.